Looking for a Bizagi alternative? Critics claim that no-code platforms are not capable of building applications with real business value. And certainly, other no-code platforms like Bizagi possess a range of capabilities in terms of the complexities of applications they can support or be used to develop. 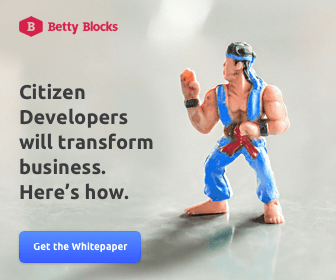 However, Betty Blocks is a new breed of no-code, representing the next step in the evolution of programming .